Andrew Palmieri helps national and local developers in the area of commercial real estate acquisition, development, financing, leasing and disposition. Regional banks also seek his legal advice on complex commercial loan transactions due to his extensive background in real estate finance. With over 30 years of experience in commercial real estate, Andrew works collaboratively, and negotiates assertively, to help his clients achieve positive results. He focuses with clients on closing deals in an efficient and economical manner, helping them assess and mitigate risks that are in line with their business goals. Utilizing in part his work with nonprofit boards and as the co-office managing partner for Saul Ewing Arnstein & Lehr's Washington, DC office, Andrew has experience in assembling and managing a team of complementary legal and industry skill sets to navigate complex transactions from conception to completion. Andrew holds leadership positions on a local, national and international level and approaches problem-solving for these organizations with the same result-oriented mindset he brings to his legal work. Andrew has served as the Chair of the City of Alexandria Waterfront Committee, Chair of the Alexandria Chamber of Commerce and Board member for both the Alexandria Economic Development Partnership and The Campagna Center. He is also active in Virginia and Alexandria politics, advocating for business interests, economic development and re-balancing the tax base. Nationally, Andrew served as the Chair of the American Bar Association Section of Real Property, Trust and Estate Law, and presently serves as a Section Delegate to the ABA House of Delegates. 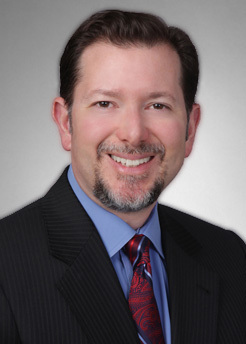 Andrew is also a member of the Board of Regents for the American College of Mortgage Attorneys. Internationally, Andrew serves on the Board of Trustees, and as Vice Chair of the Board for The American University of Rome. In this capacity, Andrew has gained a perspective into the needs of higher education institutions and the global economy. The knowledge and contacts Andrew gains through his involvement in these varied organizations enables him to provide legal advice that takes into account the industry trends that his clients face in advancing their business interests. Andrew provides legal advice to developers in connection with the development of commercial real estate projects, such as mixed-use office, multifamily and retail properties, from the due diligence and acquisition of both improved and unimproved land, through site development, construction and permanent lending, leasing and sale. Andrew provides legal advice to lenders in connection with complex real estate financings. a regional bank in providing the financing for an appeal bond loan secured against multiple assets, including multi-state properties and equity interests in affiliated entities. Andrew negotiates commercial leases on behalf of both landlords and tenants for space in office and mixed-use buildings in connection with office, restaurant and retail tenancies. a regional developer in the negotiation of lease terminations to facilitate the redevelopment of an historic warehouse to luxury condominiums.